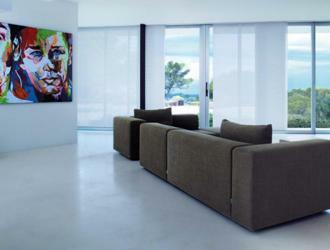 Arexim Garden is a manufacturer of Screen blinds. 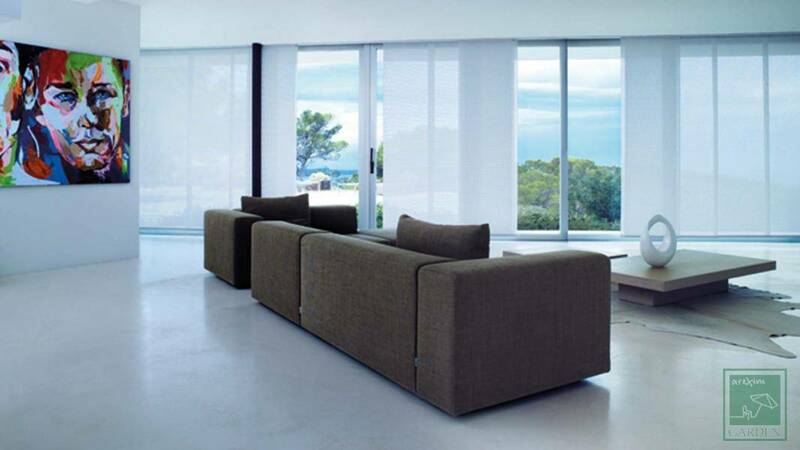 Screen blinds are suitable for living-room, kitchen, bedroom, restaurant, office, hotel. 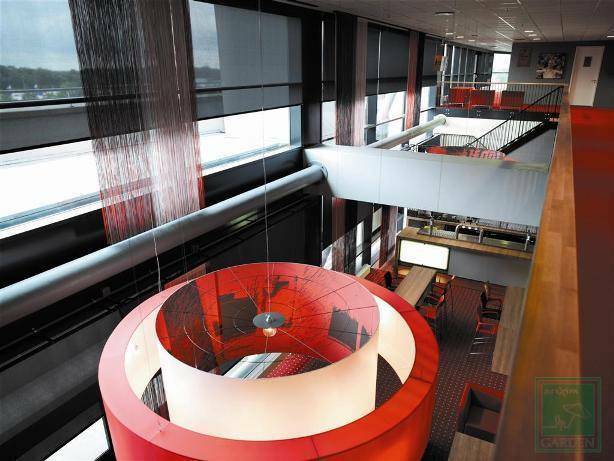 With a variety of openness factors, woven in the same basket weave, the Screen collection offers the ideal solution for all needs in terms of heat and/or light management. 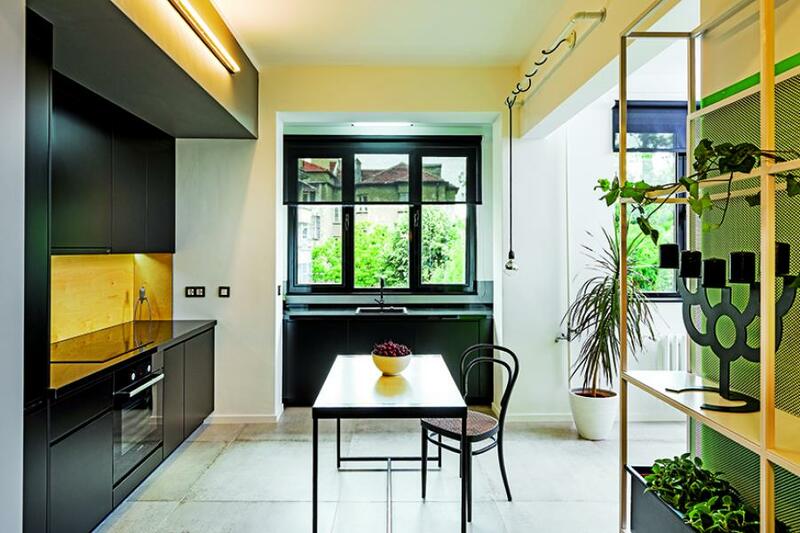 By mixing various openness factors in one space, a uniform look for the interior can be achieved. 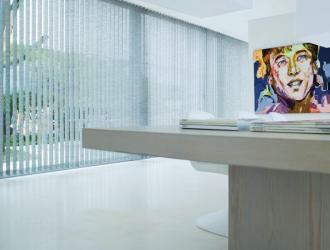 Screen blinds are produced in variants vertical blinds, roller blinds, Roman blinds and panel track. 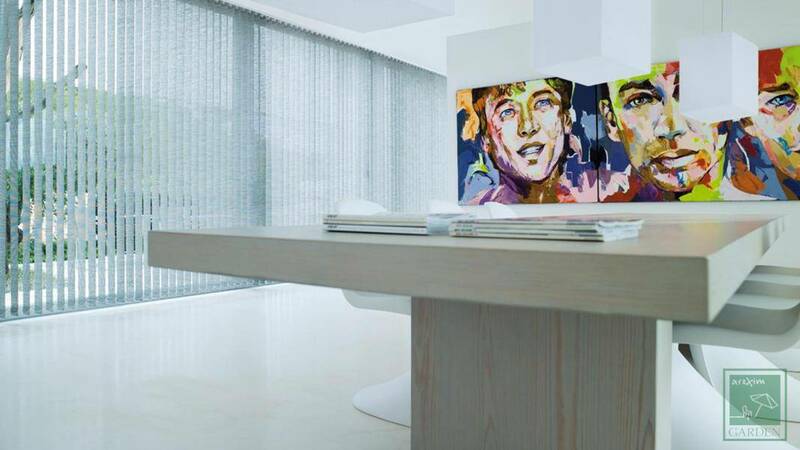 The Screen fabric consists of interwoven PVC threads with a polyester coating. 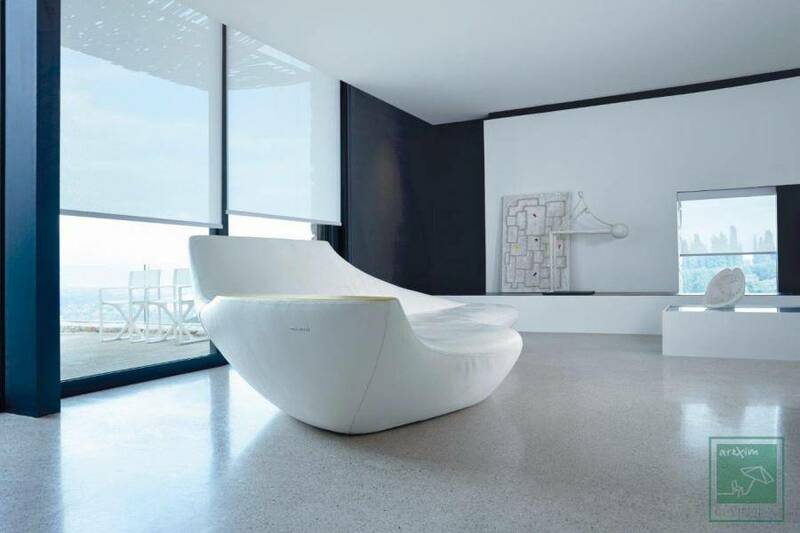 The Screen fabric ensures 1 %, 3 %, 5 % or 10 % transmission of the sunlight. 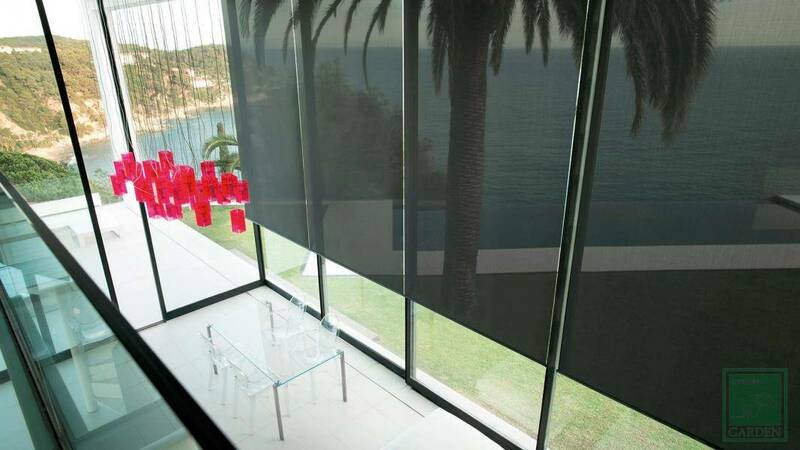 The fabric with openness factor 1% hardly transmit sunlight, the fabric with openness factor 10 % ensures full visibility of the surrounding landscape. 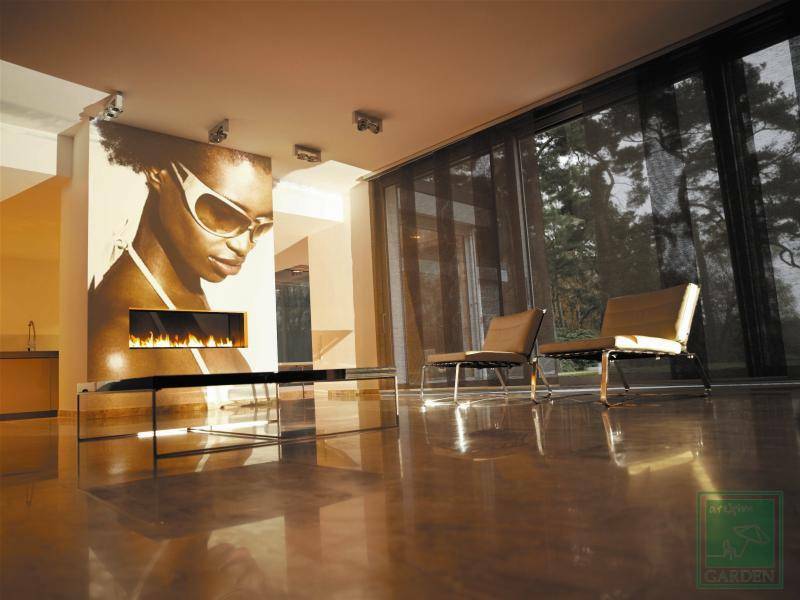 The flame-retardant screens are made of high-quality polyester yarns for additional strength and stability. 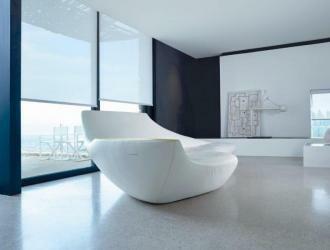 They are available in a variety of timeless colors. 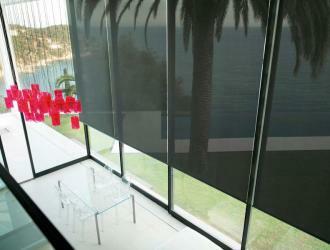 Screen blinds can be produced in variant with a motor and a remote control.